AAPM Renews Member Agreements with Institute of Credential Excellence, American National Standards Institute. Dec 2015 - AAPM Renews Member Agreements with Institute of Credential Excellence, American National Standards Institute. November - New programs scheduled for 2016 in the USA, UAE, China, Indonesia, Malaysia, Istanbul, Ghana, Nigeria, Oman, Kuwait, Bahrain, Mozimbique, and more. November 2015 - New Alliance with University of Islam Indonesia - Rector of the university Dr. Suharso and Dr Fauzi Hasan conduct a joint signing ceremony. GAFM and AAPM Approved by Indonesia Governmental Credentialing Authority. Dec. 2015 - AAPM enters Articulation Agreement with Oldest University in Indonesia. UII Universitas Islam. June 2015 - Colorado School of Mines becomes a recognized provider of qualified MPM and CIPM Education in the USA and is recognized as an AAPM Chapter. Queens College of New York, University of California in Silicon Valley, the Universidad Internacional de México, and the The University of Hong Kong are also recognized chapters. 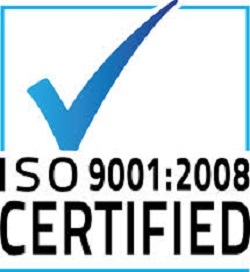 April 2015 - Board of Standards successfully passes TUV audits for ISO 9001 and ISO 29990 certification in Europe. March 2015 - Our EU Offices announces the annual conference in Milan Italy in June 2015. March 2015 - Dr Fauzi Hassan offers new HR and PM programs in Indonesia. Jan 2015 - IBS GAFM Board of Standards is a recognized candidate by the: TÜV Technischer Überwachungs-Verein Österreich, : Technical Inspection Association) which are organizations that work to validate the quality of products and services of all kinds to protect the public and for safety. Jan 2015 - CMCS becomes new Chapter. CMCS operates in many Arabian and African Countries offering project management programs worldwide. Dec 2014 - AAPM runs 40 programs worldwide in 2014 and initiates thousands of new members in over 40 countries this year. August 2014 - Federal University of Technology Oweri , Nigeria is now a chapter of AAPM in conjunction with the DLC Direct Leadership Institute. September - AAPM - More certifications recognized on Department of Labor guides. June 2013 News - AAPM ® Forms Academic Alliances with The National Research University of The Russian Federation, The George Washington University PM Masters Program, The University of California PM Diploma Program, and the Universidad Internacional de México, and the The University of Hong Kong. May 2013 - New Graduates in Asia, Arabia, Malaysia, USA, China, Latin America, and Africa. May 2013 AAPM Europe - News - AAPM Europe Chapter - “The MPM Certification ( Master in Project Management) is a professional organization, which represents the professional interests of those with responsibilities, at all levels, for the prediction, planning and control of resources and cost for activities that involve engineering, manufacturing, and construction, by recognized Institutions in Europe , like for example the Société Nationale des Ingénieurs Professionnels de France SNIPF (FR) as part of the information which can be included in the Dossier , as a formal evaluation criteria. January 2013 - Approved courses offered in 15 major cities worldwide and through dozens of accredited programs. January 2013 - AAPM Credentials listed on the US Department of Labor's Employment and Training Administration website Certifications Guide. December 2012 - AAPM with 1200 new Certified Graduate MPM and CIPM members this year. New Gradaute Programs approved in Russia and China. November 2012 - Macao Polytechnic University joins as an alliance to AAPM and CEC. August 2012 - New Chapter in Mexico - Graduates of the Masters Programs of the Universidad Internacional de México are now immediately eligible for Certification. July 2012 - 500 New Members in Europe, America, and Latin America. New Chapter in Jamaica. April 2012 - New AAPM ® Providers in US, EU, Asia, Qatar, Dubai, Latin America and Greece. January 2012 - AAPM ® Launches Agile Communications Certification Course. AgCC Cert. November 2011 - Apply to the George Washington Masters of Science in Project Management Program and also become eligible for CIPM® and MPM® Certification upon graduation. Oct 2011 - 400 New Members this month. News April 2011 - AAPM ® Consults with US Government on Management Careers. News Jan 2011 - IBS AAPM ® achieves membership in Institute of Credential Excellence and National Organization for Competency Assurance and American National Standards Institute. News Dec 2010 - Global News United Kingdom - AAPM® George Mentz served as Chair of the Certification Standards and Quality Advisory Council for the IBC Global Academy Informa Project Management Mutual Recognition Agreement for 2010. The International Agreement and Contract with Informa UK creates legal recognition of the AAPM trademarks, copyrights, and intellectual property in perpetuity. News October 2010 - AAPM ® Executive Committee Meetings in New York and London. Warning - Counterfeit PM Certificates sold by iafm/iapm in Hong Kong. IAFM/IAPM CAUGHT RED HANDED by Hong Kong Officials selling counterfeit diplomas/certifices in to innocent victims & Hong Kong Students. Click To See the FAKE IAFM International Academy of Project Management Counterfeit CEC. Under Counterfeiting Laws in the Philippines, Singapore, China, Arabia and the USA. these fake academic documents sold by IAFM and IAPM are crimes punishable by Jail and fines. Counterfeiting, Cybercrime, Phishing, and Wire fraud is illegal in most countries, but this IAFM and IAPM group are seeking funds from innocent victims. The names of Brett King and Steve Wylie are on these fake documents, so the Public is Hereby Warned. See fake websites operated from Asia - www.aafm.org or fake website www.aapmapac.com - The IAFM and IAPM certificates are worthless and US and EU authorities are on alert to this imposter group phishing around the world. March 2010 - AAPM Accredited new Programs in several countries such as United Kingdom, India, Liberia, Yemen, Ethiopia. March 2010 - Informa UK and Global continues to recognize the AAPM Board of Standards certification programs. Oct. 2009 - City University of New York - Queens College is new Approved AAPM Chapter East Coast. Dr. Mentz says that the NY City University USA is a perfect alliance with the AAPM. June 30, 2009 - AAPM Creates alliances with the India Management Inst., The China Education Group, The Asia Consortium in Singapore, and the Arab Association to distribute AAPM in 21 new countries. February 2009 - AAPM featured in: Forbes News, The Business Wire, Reuters Global News, EuroInvestor News UK, Yahoo Finance, Morningstar News, Digital50 News, Direkt Broker Germany News, Ad Hoc News, Centre Daily News, Earth Times, Yahoo News, University of California News, ArabianBusiness.com NEWS, Express Computers Business News in India, and more. January 2009 - The 2009 AApM Body of Knowledge and Member Code of Ethics and Conduct Released. January 2009 - New Graduating classes in Guyana and the Bahamas this month. October 2008 - Expansion in India and Malaysia with new courses available. Sept 2008 - IBC IBC Asia (S) Pte Ltd AAPM and IPMC organize deal with IBC for distribution. IBC a division Informa is the largest publicly-owned organiser of conferences and courses in the world, with an output of over 10,000 events annually. Informa publishes over 2,000 subscription-based information services including academic journals, real-time news and structured databases of commercial intelligence. Informa’s book business has more than 40,000 academic and business titles in print. August 2008 - AAPM Project management law courses will now be able from the TJSL Diamond Graduate Law School. In a first of its kind agreement, the AAPM now has specialized "graduate PM courses" in risk, scope, contracts and international law. Prof. Dr. Byrnes of the Graduate Law School Program stated, "This AAPM Graduate Program is the GOLD STANDARD of Project Management Education. No organization in the world has even come close to a true graduate legal and international law course in project management." June 2008 - AAPM Protocols and Handbook accepted as official Project Management textbook supplement for one of Americas Largest Universities. May - AApM Graduations in Dubai, Kuwait and GCC. March. 2008 Academic Advisory Committee - 30 PHDs, Doctors, and Professors serving on the AAPM IPMC Global Academic Advisory Board. Feb 2008 - IQPC - IQPC is offering AApM Approved courses in select Countries and has developed a reputation for quality in delivering business intelligence through its conferences, seminars, and training to the Middle East's leading companies. Globally, IQPC has provided essential insights and valuable market intelligence to over two million executives through its international network of 12 offices serving six continents. Contact us today to discover how your business can benefit from our global experience. Jan 2008 - Athens, Greece - Training Channels opened for distribution in Athens and the European Union. July 2007 - Informa PLC, the largest conference and event group in the world is now running AAPM Project Management Certification courses in Singapore, Malaysia, China, and Indonesia. Jan 2007 - IPMC Representatives go to Singapore, Vietnam, Beijing, and Hong Kong to meet with new IPMC project management training providers. Jan. 2007 - Revised Executive Body of Knowledge e-BOK released by IPMC. Dec. 2006 - IPMC trains and graduates 30 new members in the Caribbean Chapter. October 2006 - New York City Offices opened under the direction of Federico Shephard of Pervasive Learning Systems in New York. This is a minority controlled executive training organization which offers approved and sanctioned certification training for the AAPM American Academy. October 2006 - Board of Advisors meets in San Francisco for Networking Event. October 2006 - AAPM Has Executive Luncheon at the Yale Club of New York City. October 2006 Milestone - Our AAFM Certification Training Partners have trained clients that include: Xerox, NASA, BAE Systems, United States Securities and Exchange Commission, The US NAVY,, Department of Energy, The Department of Interior, 3M Asia Pacific, Dow Chemical, Deutsche Bank, Citibank,Hewlett Packard Singapore, Indian Overseas Bank, Shangri La Hotels, HSBC Bank, China Construction Bank, National Bank of Kuwait, The Government of Dubai, and HUNDREDS MORE. Oct. 2006 - IPMC receives license to offer Project Risk Management Training and Certification along with the CRA Certified Risk Analyst Credential. June 2006 - IPMC and AAPM has executive conference in Colorado Springs. April 2006 - IPMC and AAPM form Joint Alliance with the College of the Bahamas in conjunction with Lignum Technologies. January 2006 - IPMC and AAPM Board Members meet in Dubai, UAE to open new offices. January 2006 - IPMC and AAPM open new representative offices in Kuwait. April 18th, 2005 - AAPM Board and Council set to Meet at the Yale Club in New York City to discuss industry Standards and global disaster recovery planning issues. April 2nd - AAPM Board votes to open new representative office in the Middle East in the UAE. March 24th 2005 - Membership Board approves new Logos for use by global members. March 20th 2005 - AAPM Board votes to become the first Project Management Institution to require an accredited college degree for executive membership. March 1st 2005 - AAPM Educational Commission votes to approve over 30 accredited graduate programs worldwide as approved and recognized AAPM training. AAPM now has the highest educational standards in the industry. February 28- March 4th 2005 - Special Board Meeting In Beijing at World Trade Center during the Global Tech Conference. December 9th, 2004 - Scheduled Board Meeting in Geneva Switzerland at the Mandarin Oriental Hotel. November 14th, 2004 - AAPM Executive Committee meeting at the World Trade Center Beijing China. August 1st, 2004 - Executive Commission meets in Colorado Springs, Colorado USA at the Cliff House Resort. April 30th, 2004 - AAPM signs co-existence agreement with The American Academy of Financial Management. April 15th 2004, Prof Mentz and Mr. Cooper meet with officials in Hong Kong. November 2004 - CEC Board meets in Beijing, China. August 2004 - CEC Board meets in Colorado and Cliff House Resort. CEC Approved alliance with RSOF. May 2004 - Prof. Mentz is a keynote speaker at Hong Kong University Oracle Conference in China. May 2004 - CEC Board Meeting in Hong Kong China. 5 new Asian Colleges approved for CEC Recognition worldwide. April 2004 - E-World Conference in October 2004 in London approved as an official E-Business Conference by CEC Board. Jan 2004 Royal Society of Fellows conference is a new and approved CEC E-Commerce Congress. July 2003 - CEC Rolls out the new CEA and CEA program Certified Interactive Marketing Manager in Hong Kong Asia and the US. June 2003 - New Global Board of Standards Members Announced: Dr. K K Lam, Principal Lecturer, e-Business Campus, City University of Hong Kong, China Dr. Timothy Chan, Principal Lecturer, Commerce, Singapore Polytechnic - University, Singapore, Dr. Keith Chan, Head of Computing, Hong Kong Polytechnic University, Hong - Kong, China, Todd Genton, Strategy Practice Leader - Asia Pacific, Deloitte Consulting, Hong Kong, China, & Honorary Global Advisor: Tony Tai Director - Marketing, IBM Greater China Beijing, China. June 2003 - CEC continues its 2 year relationship with IIR in the Middle East. IIR is one of the largest conference organizations in the world. Jan. 2003 - CEC Board of Standards Meets in San Francisco. Members from US, China, and Australia meet to discuss rapid growth and strategy for CEC Worldwide. Dec. 2002 CEC Officially Approved by the Chinese Government for executive training in mainland China. Honorable officials of the Chinese Government have press ceremony in Beijing. Oct 2002, CEC Moves into the Asia Region with new Asian Super Board of Standards and is forging agreements with the Chinese Government for Training. August 2002, CEC Reaches the 100 College Mark in building alliances with colleges and university's worldwide to grant the CEC to graduates of select programs. May 10th, 2002--CEC awards merit scholarships to select members of Harvard Business School, Stanford Business School, and Carnegie Mellon MBA Graduates. April-May 2002--CEC forms new college alliances with SJSU San Jose State University in Silicon Valley; The University of South Africa; University of Colorado Business School; The University of New Brunswick of Canada; Loyola Chicago Business School; Loyola New Orleans CIS Program and the Graduate Institute; College of Notre Dame in California; The University of Wyoming, New Jersey Inst. of Tech, AGSM Australian Graduate School of Mgt. March 1st, 2002--CEC enters agreement to launch on site ecommerce & ebusiness training in select regions of Egypt and Africa. January 31, 2002--CEC Launches on site ecommerce & ebusiness education in Brazil and Portugal. Nov. 26th 2001---The Certified E-Commerce Consultants ™ have formed an e-learning alliance with Mindleaders, Inc to distribute e-commerce education and certification worldwide. Nov. 1st 2000--CEC Launches On Site ecommerce & ebusiness education in the United Arab Emirates, Saudi Arabia, and Pakistan. 2000--CEC Reaches Alliances with colleges, universities and associations in Europe and Canada to certify graduates of eCommerce & ebusiness programs. 1999 - CEC Board begins to recognize colleges and programs with the best management curriculums for the 21st century..
1998 - CEC Board of Standards Formed for the regulation and authorization of VENDOR NEUTRAL e-Business and Technology Management credentials and certifications. 1995 - CEC group formed with the onset of global internet use. The American Academy Handbook and Web Content © are Federally Copyrighted Materials and Marks © which are owned by the AAFM USA and protected by international law and treaties.